I have spent the last week organizing and I found these fat quarters and I am at a loss as to what would be a good pattern for it. So who better to ask than all the talented quilters here; there are 18 fat quarters, any suggestions would be greatly appreciated! WOW!! Aren't you lucky. Those are the prints I am always looking for to make Foster kids quilts out here in Southern CA. I would made a Disappearing 9 patch. Whatever you make, it is going to be delicious with all those bright prints. Have Fun !! If there are any scraps left over when you finsih, I would be delighted to make a deal with you !! I would suggest Yellow Brick Road. Its a pattern specifically for lots of fat 1/4's. I love pinwheels out of bright fabrics! Have fun! Those are beautiful and bright! They'd be super-cute in the DinoMite pattern. (On my bucket list for a bright quilt.) Instead of a center panel, you could do squares easily. Or if you just want something simple and cute, a Plus Quilt is easy. maybe cut squares or rectangles out of the animals and pinwheels out of the others. it will be wonderful whatever you make. I would make a drunkards path with those happy colors. My daughter made the Falling Charms top by MSQC out of an assortment of charms. It turned out really cute. I also vote for the disappearing 9 patch. Make sure only the small print winds up in the center squares since they get chopped up. I will certainly let you know!!!! Thank you everyone for all the wonderful suggestions!!! I love this board, everyone is always so helpful!!!! I am still a newbie quilter and maybe one day I can be as good as so many on here.....thank you again!!!! Looks like it would make a nice Scrappy Trip Around the World. See Bonnie Hunter's site at quiltville.com. A "Bento Box" would be fun with these. Pinwheels or something else with triangles. I would make a Dresden Plate. 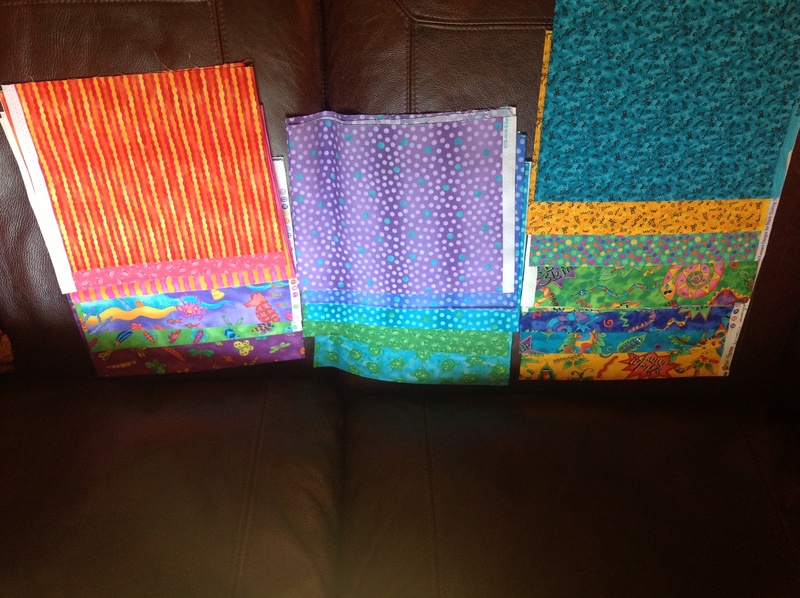 Let us know how you make out and send us pictures when your done..Bea Also... Buffmama showed some lovely TT quilts 4/28/2011 post #9....Check it out. Last edited by honeybea; 07-20-2013 at 04:25 AM. How about a cute Bento Box? Nice & bright. How about a jar quilt? 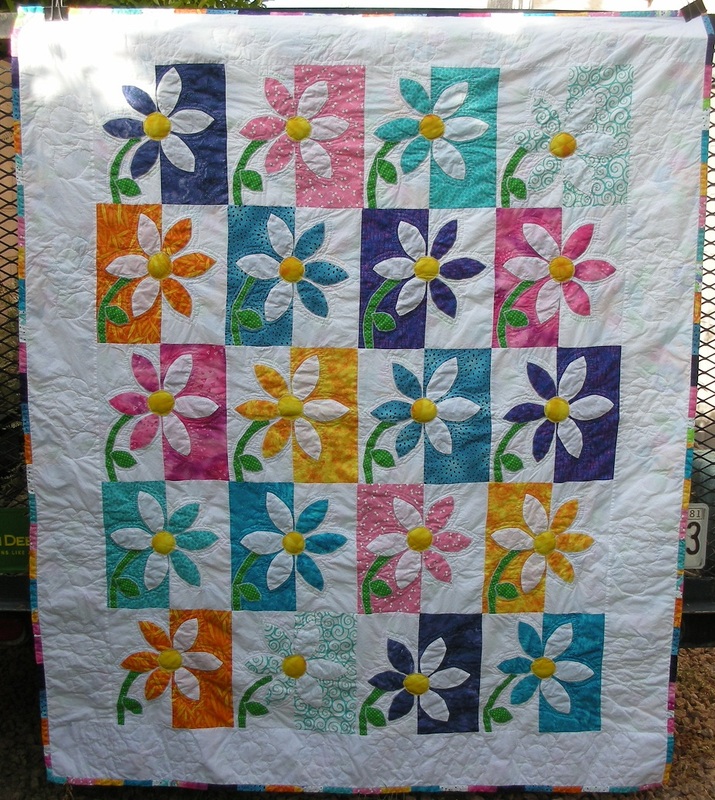 How about Wickedly Easy Quilts by Annie - free pattern when you go to www.byannie.com and the pattern uses fat quarters. I would add white as the background and make a chevron. There are quite a few freebies online buy searching chevron quilt patterns. That was my thought too--and I love those fabrics!